Most organizations understand the importance of providing quality service and support to their customers, but struggle to identify and implement practical, affordable technology that delivers those benefits. On-Premise or Hosted, VisNetic MailFlow is the easiest way to provide great customer service. 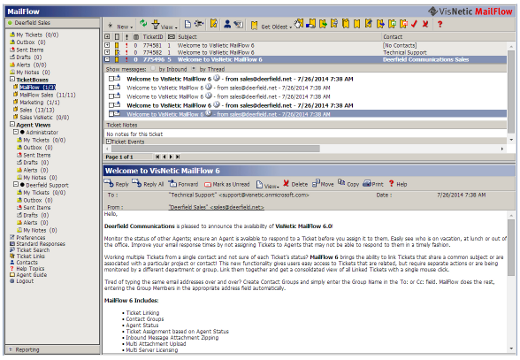 VisNetic MailFlow is focused solely on the management of customer email. Similar to your company's phone system for routing inbound calls, VisNetic MailFlow automatically assigns customer email to the appropriate customer care agent or group.